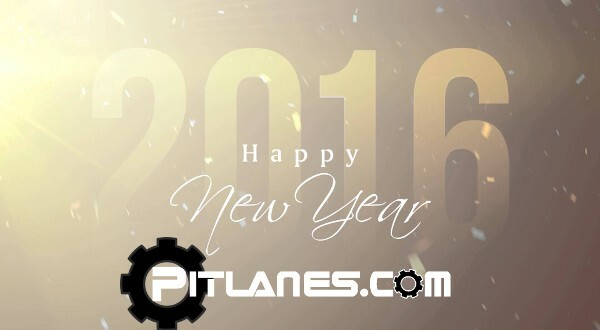 Wow what a year 2015 was for both us here at pitlanes.com and for sim racing as a whole and i can see 2016 being even more exciting. 2015 saw a great selection of new and updated sims, with Dirt Rally bursting onto the scene from out of nowhere to become one of , if not, the best rally titles the PC has seen for a decade. We are not sure what 2016 holds for this title but i for one have still got a lot of stage miles to complete with this sim as it stands so i have my hands full trying to be brave and don’t cut ! Even though Assetto Corsa hit the PC at the very tail end of 2014 it been throughout 2015 that’s it grown from an early access title one of the those sim titles that many others are judged by with huge progress made both with the AI and multiplayer aspects of this sim and 2016 looks set to build on that with a lot of recent hints at some fantastic new content in the form of both cars and tracks heading to Assetto Corsa. We can’t talk about 2015 and not mention the seemingly community splitting title Project Cars, which after crowd funding its initial development was released to the world back in May. What ever your views on this sim there is no deigning its one of the best looking sim titles to hit the PC this year and after some hard work with patches and updates it has come along way, but it does seem to be the Marmite of sims with racers either loving or hating it ! It feels like 2015 has been a very busy year for the team over at Reiza Studios who under took an Indiegogo crowd funding project that was far more successful than they could of ever imagined. In fact they have now have the funding to introduce so many new features to their sim Game Stock Car Extreme that they have rolled it all into a new sim title called Automobilista due to be launched Q1 2016. Although RaceRoom Racing Experience has been around for a couple of years now 2015 saw it change from a hot lapping title to a full off and online sim with the introduction of many car and track packs, some of them such the WTCC and ADAC cars being exclusive content, and the addition of both AI cars and a multiplayer service with league features. The biggest thing that stands this sim apart from the others though is it’s car sounds they just have to be heard to be believed. 2016 should see the expansion of open wheel content and a laser scanned version of the Nordschleife comming to R3E. iRacing.com has seen some big changes this year with the introduction of fully dynamic tracks and the release of a 2015 spec McLaren Honda F1 car with functioning DRS and RES systems. They also with the new team feature held a series of endurance races with a couple being 24 hours in length, a first for many of us. 2016 will be another big year for them as they are set to move from a DX9 engine to a DX11 version which will allow them to really move this sim on in the future and the long awaited new UI should finally surface during 2016. As for us here at pitlanes.com, well its been an up and down year with founder and team owner Richard Goodwin not only sorting out the major web hosting problems we had early in the year but rebuilding a whole new website and forum that’s works well on any screen size be it desktop or mobile to give us our nice new clean and easy to use look. This makes it a real shame that as the year drew to an end he has had to concentrate on some on going personal issues meaning he has not been able to be any where near as active with pitlanes.com as he was, but even though we are only a small team here we are a hardy bunch and we have all stepped in to help out and keep pitlanes.com as active as ever, with Richard making sure the back end remains up and running. I have a feeling that 2016 will see him return to both sim racing and the pitlanes.com front line as he is testing which sims will run on his laptop to start getting back into hot lapping and testing and he is currently looking at controller options. To go with the new look website 2015 saw us introduce a new team logo, which is being slowly rolled out on our website. 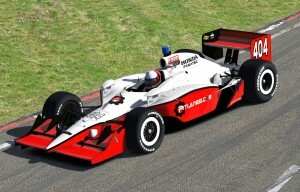 forum and team cars, with iRacing.com seeing some of the first new paint schemes hitting the track. 2015 was a busy year for us with our sim racing events and sim racing leagues. 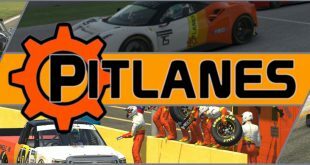 Team Pitlanes entered many iRacing endurance events with us competing in two 24 hour events with a team of up to five team members spread across Europe taking it turns to hit the track and all helping to bring the car home each time. We also ran a highly competitive and well respected Clip Cup Championship on rFactor 2 which was tied in to the real life Clio Cup series here in the UK. 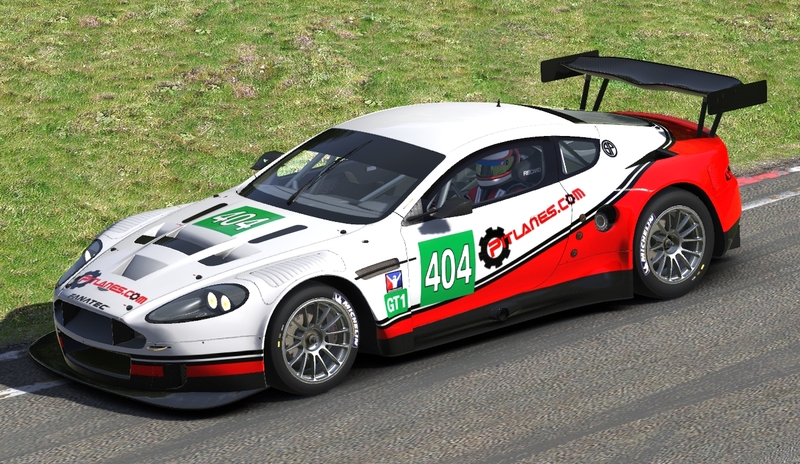 We do hope that 2016 will see the return of this series on rFactor 2 as it was enjoyed by all that took part. 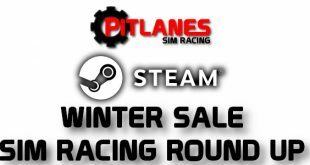 As for me well i hope to finish off my DIY metal rig build as talked about here on the forums – HERE – during the early part of 2016 and then to raise my game on my sim of choice iRacing.com and win a round or two of the Pitlanes.com Challenge Series, but i think i will mainly be making sure i get more seat time next year to race a broader selection of sim titles. I hope 2015 has been a good year for you sim racing wise and if you have any highlights you want share or some goals you have for 2016 then please feel free to leave a comment or two below on the website. 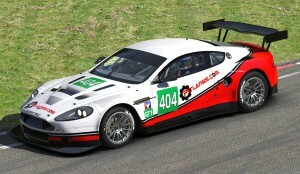 Next The Pitlanes.com New Years Day Give Away Winner Is….